Situated in the shadow of the Acropolis, and only few metres away from the New Museum of Acropolis, lies the deluxe Divani Palace Acropolis hotel. 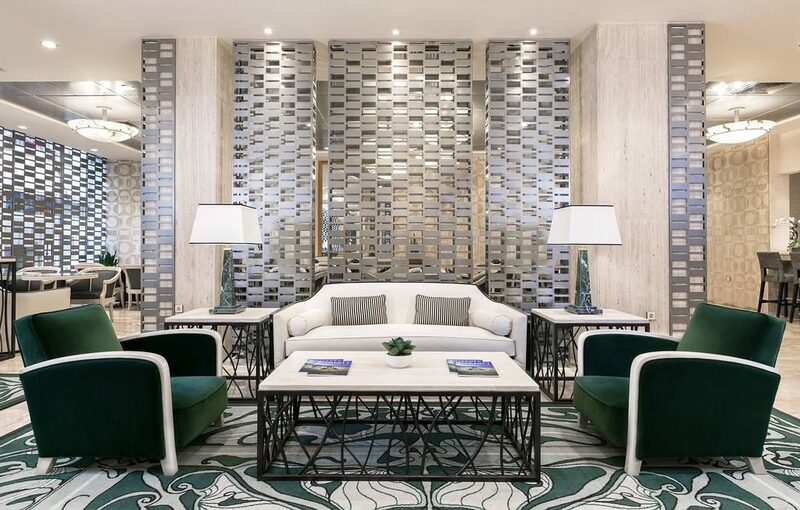 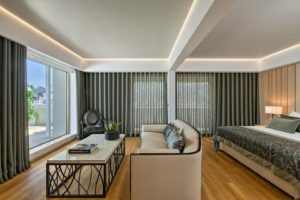 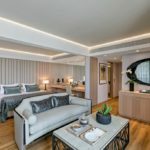 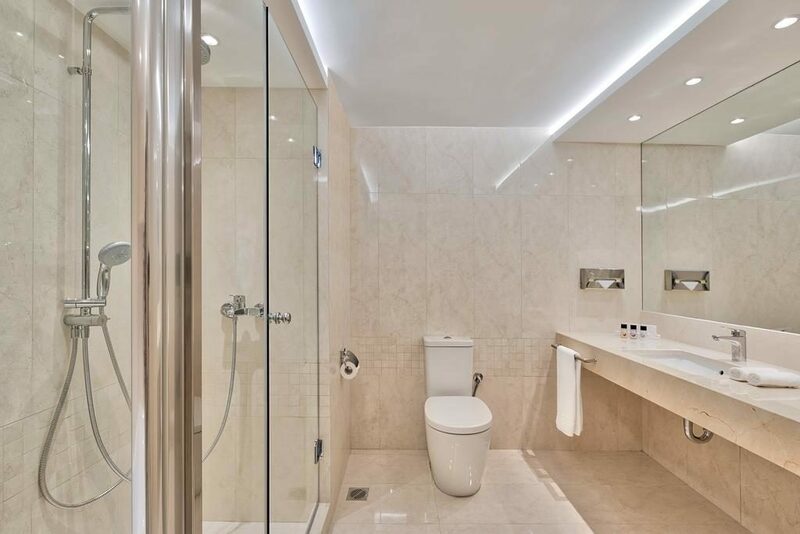 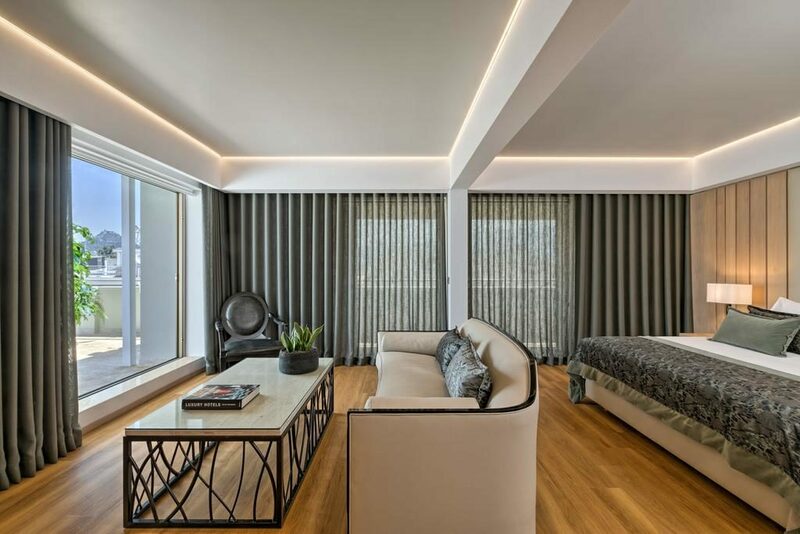 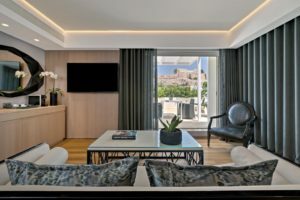 Renovated in 2001, this luxurious offering from the Divani Collection affords guests a unique opportunity to experience all that Athens has to offer. 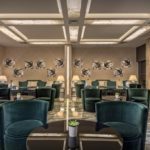 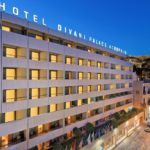 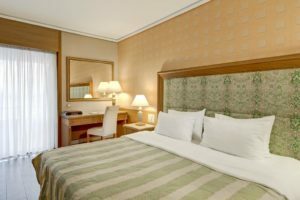 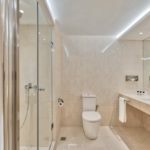 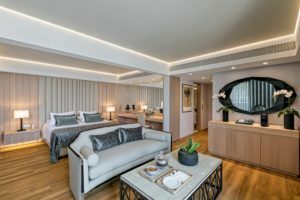 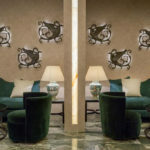 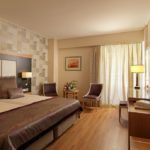 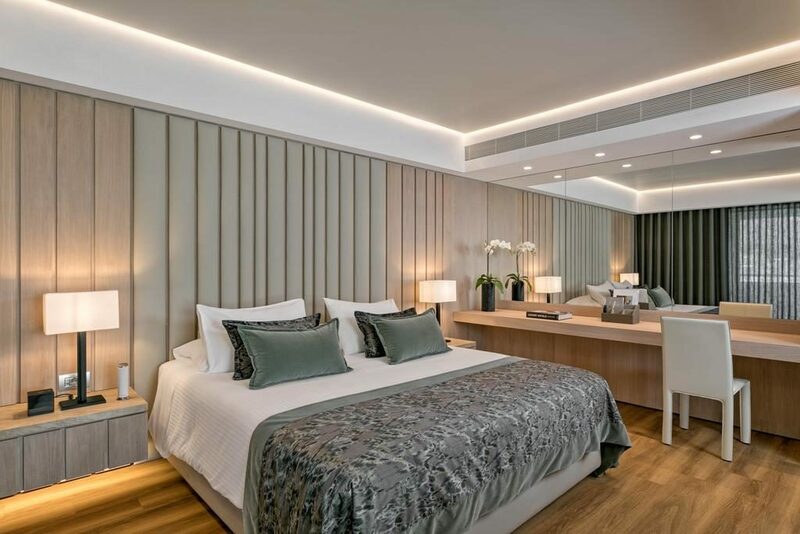 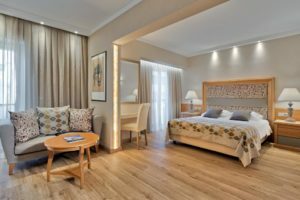 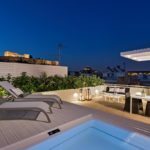 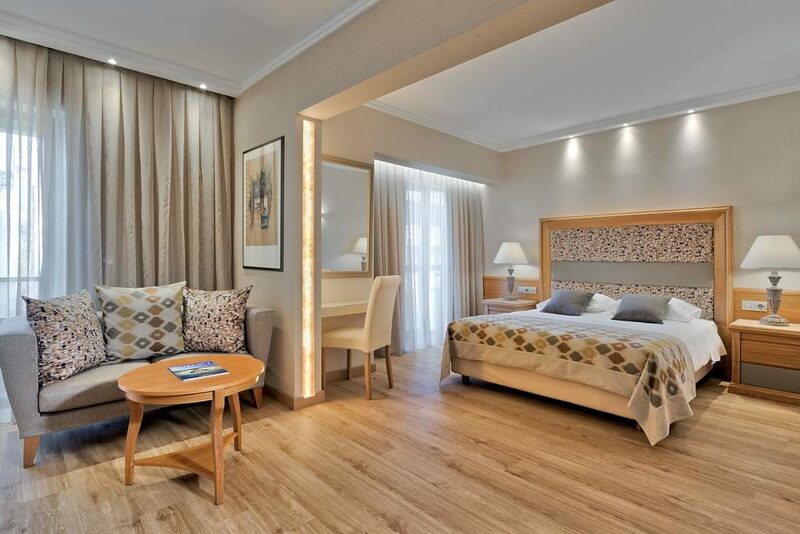 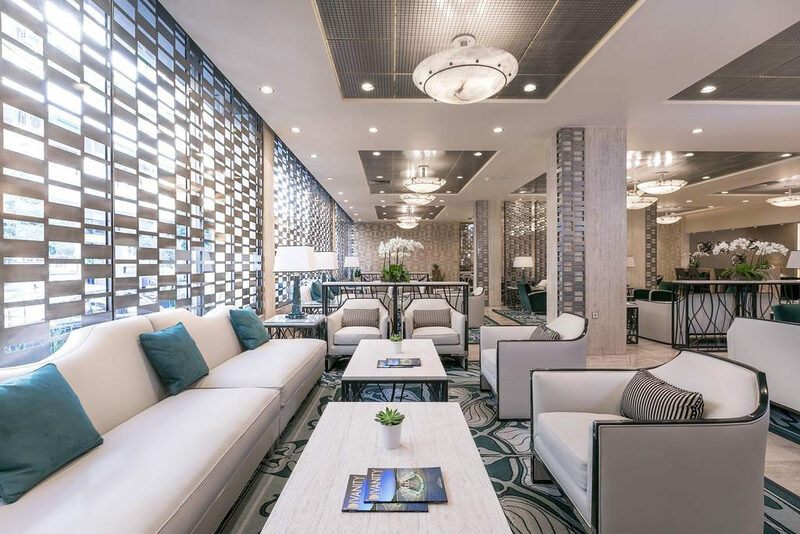 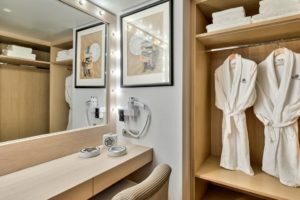 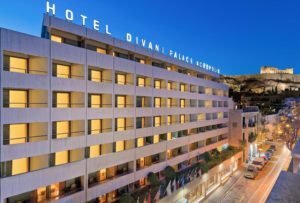 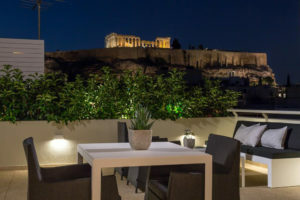 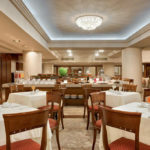 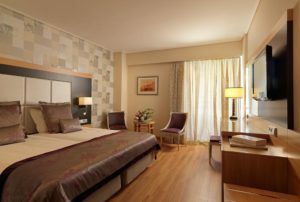 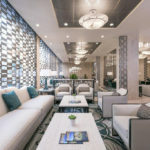 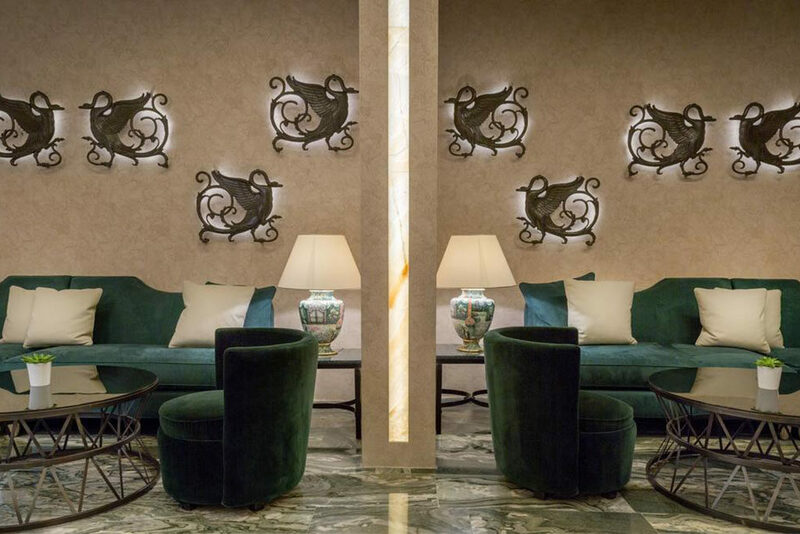 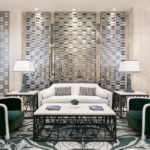 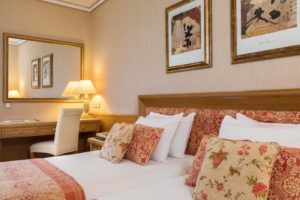 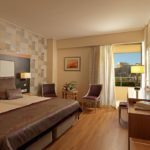 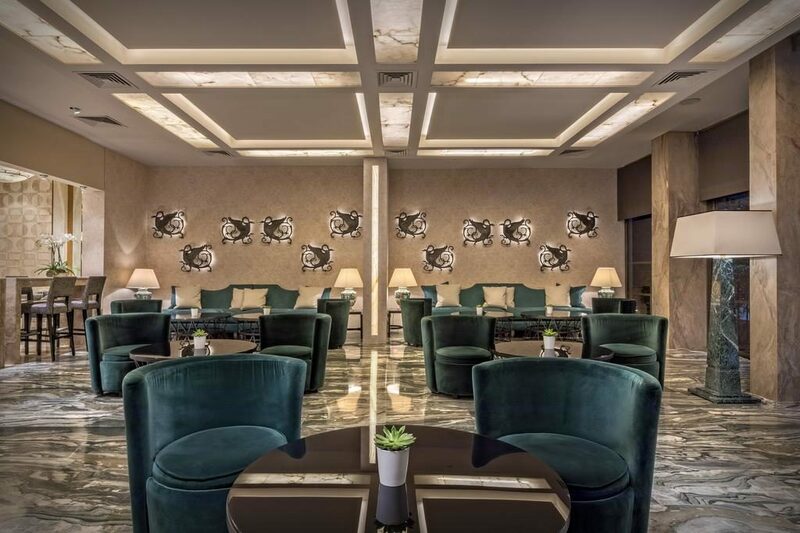 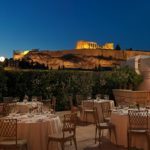 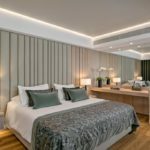 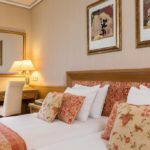 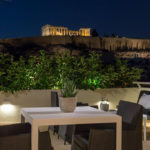 With all the amenities of a modern hotel, a breathtaking backdrop, and a staff renowned for their hospitality, the Divani Palace Acropolis has long been the first choice for discerning travellers in Athens. 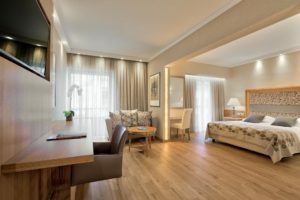 The award winning staff is available at all hours with one sole purpose – to make sure that your stay is perfect and ensure your comfort at all times. Featuring a refined decor in neutral shades and fitted with damask fabrics, this standard room features a furnished balcony. 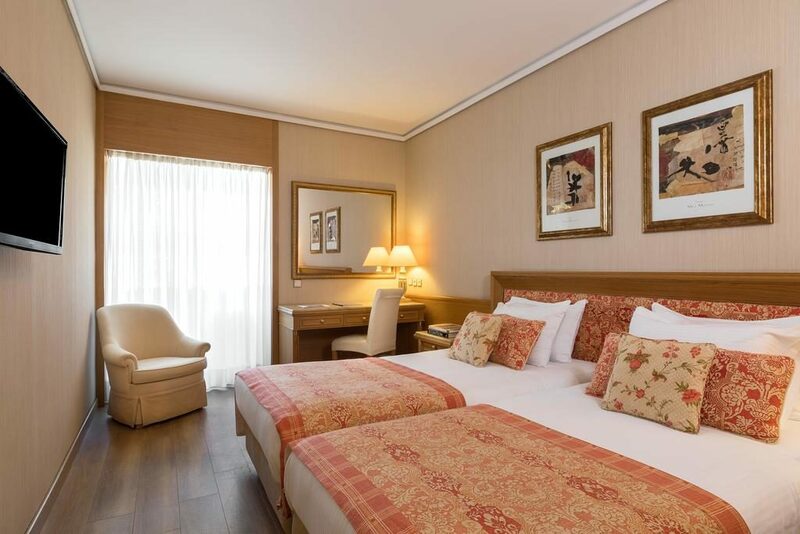 It is equipped with a minibar, safe and satellite TV. 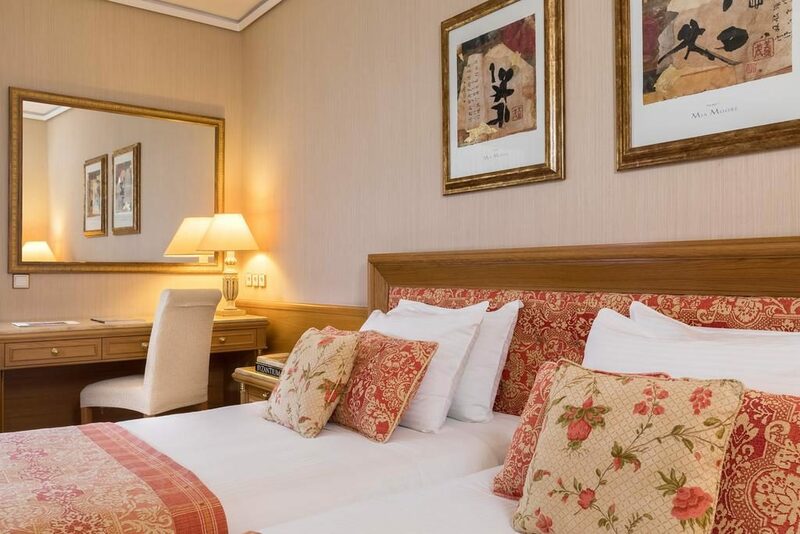 Elegantly decorated room fitted with parquet floors, soft colours and damask fabrics. 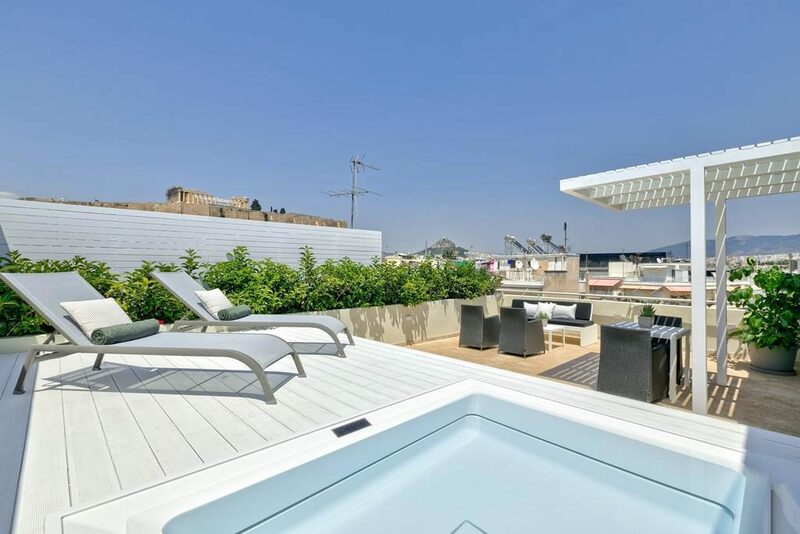 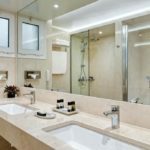 It opens to a balcony overlooking Philopappou Hill or the pool. 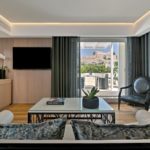 It includes a minibar and a satellite TV. 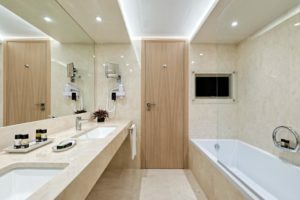 Free toiletries and a hairdryer are also provided. 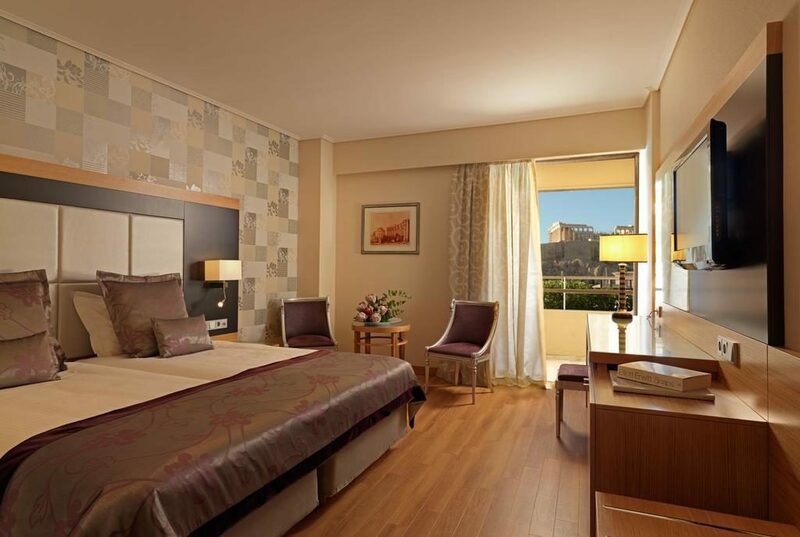 This standard room features a private balcony and it is equipped with a minibar, safe and satellite TV. 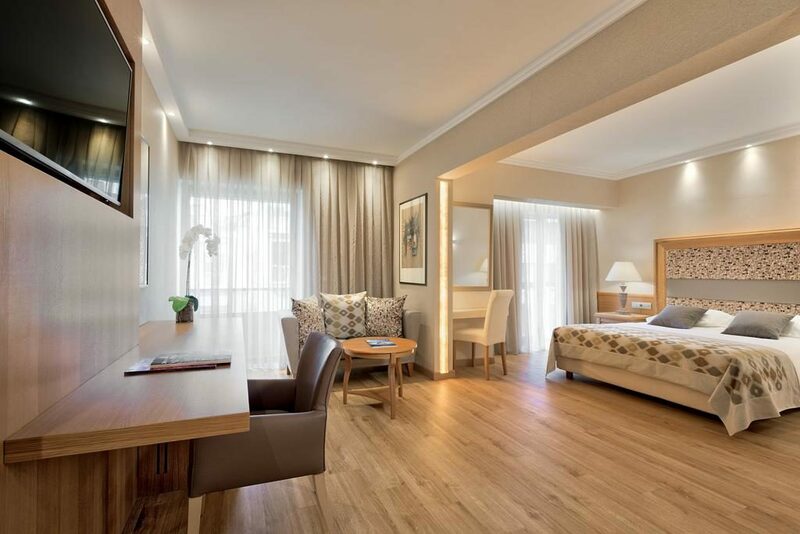 Spacious suite with separate living room and balcony. Elegantly decorated room fitted with parquet floors, soft colours and damask fabrics. It opens to a balcony overlooking the Acropolis. 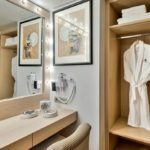 It includes a minibar and a satellite TV. 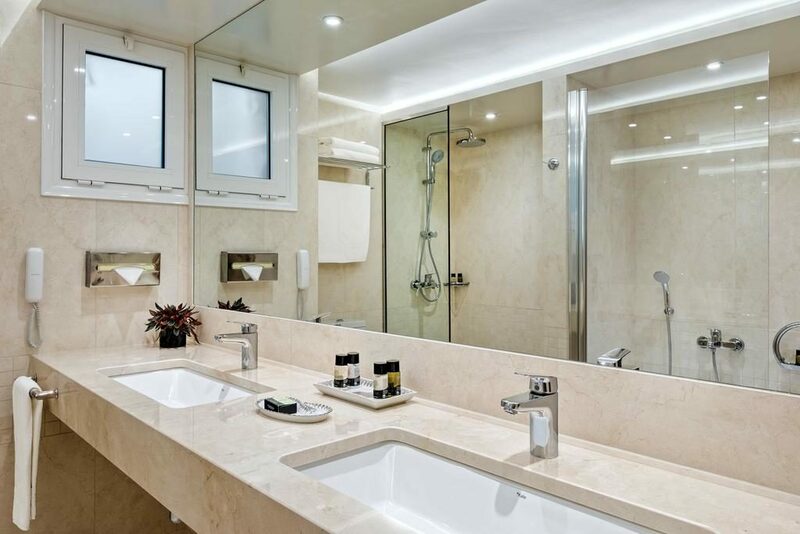 Free toiletries and a hairdryer are also provided. Spacious suite with separate living room, 2 bathrooms, and 2 balconies. Featuring a refined decor in neutral shades and fitted with damask fabrics, this standard room features a furnished balcony with views over the Acropolis. 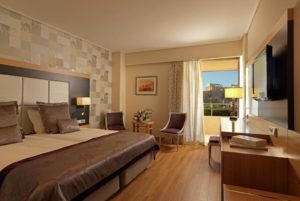 It is equipped with a minibar, safe and satellite TV. 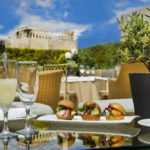 Offering the finest in Mediterranean cuisine and international flavours, the Aspassia Restaurant presents gourmet dishes in a relaxed, stylish setting. 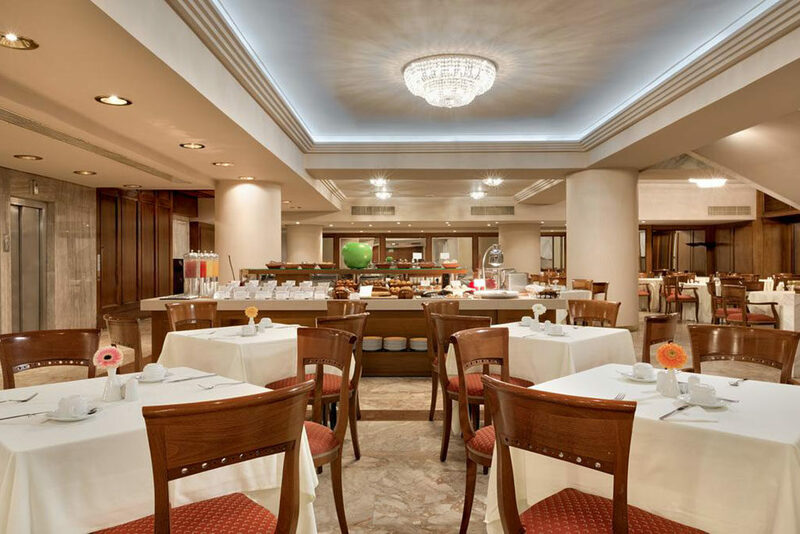 You can enjoy a rich American breakfast buffet, a leisurely lunch or a multi-course traditional dinner with the ambience to match. 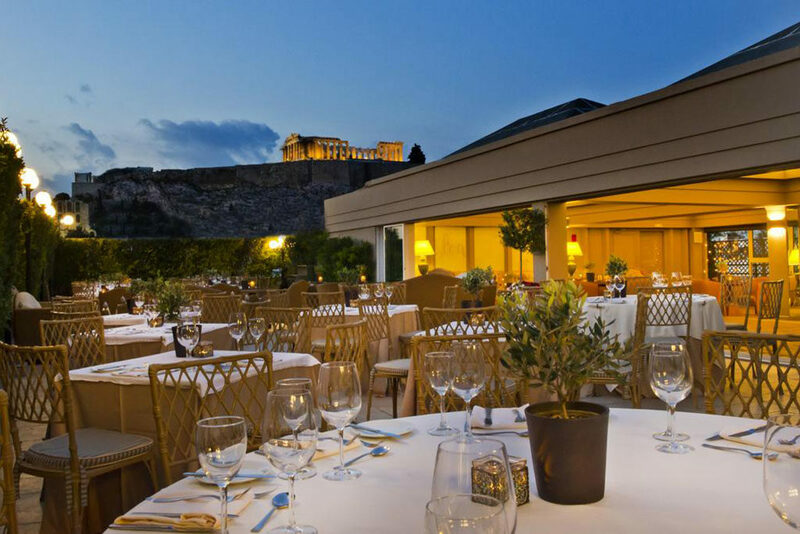 OPENING TIMES: 10 am to 2 am. In-Room Dining brings the fine dining experience to the comfort and convenience of your own room. 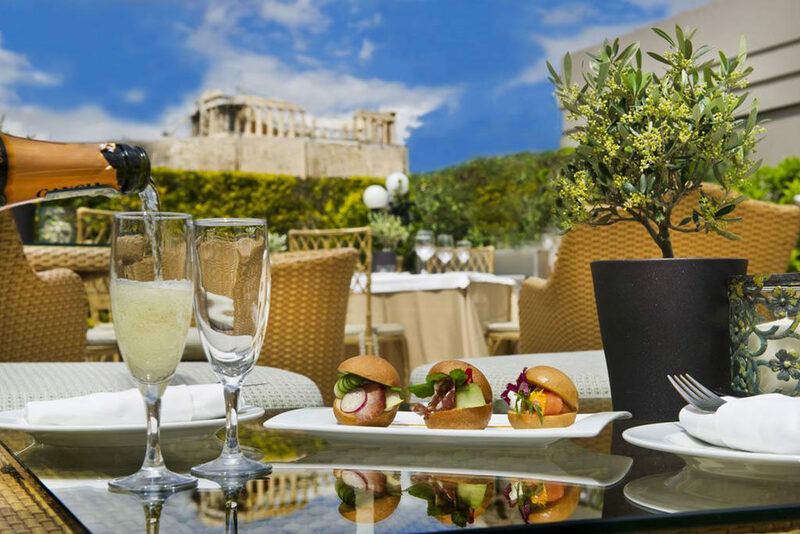 Our broad menu,operating between 06:00 – 22:30, is ideal for travelers after a long trip, spontaneous meetings, or for quiet, private dining. 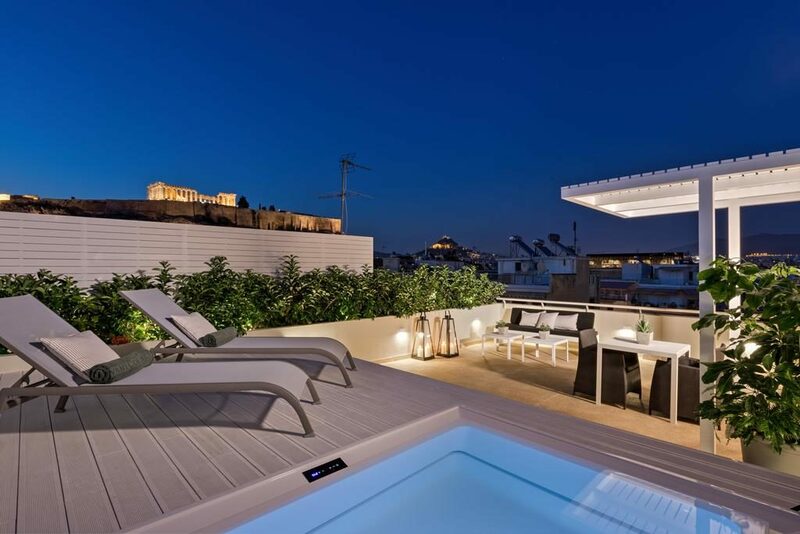 Our outdoor swimming pool is the ideal place for one to unwind and relax after a tiring day exploring Athens. Guests can order a light snack or their drinks from D Bar, located next to the pool, and enjoy them at the pool area. 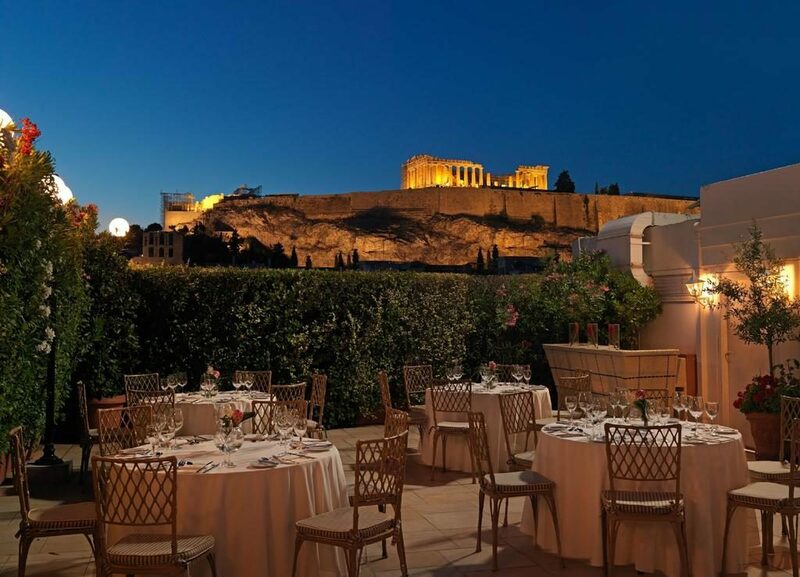 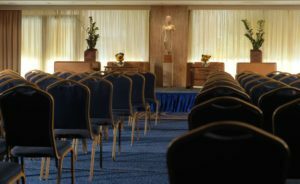 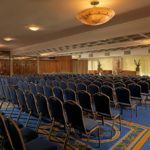 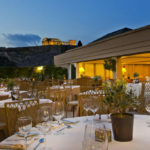 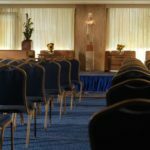 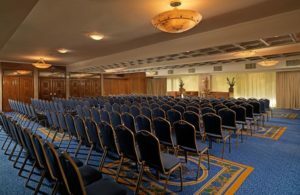 With its stunning views of the Acropolis and choice of romantic banqueting rooms, the Divani Palace Acropolis is also an ideal place for a wedding. 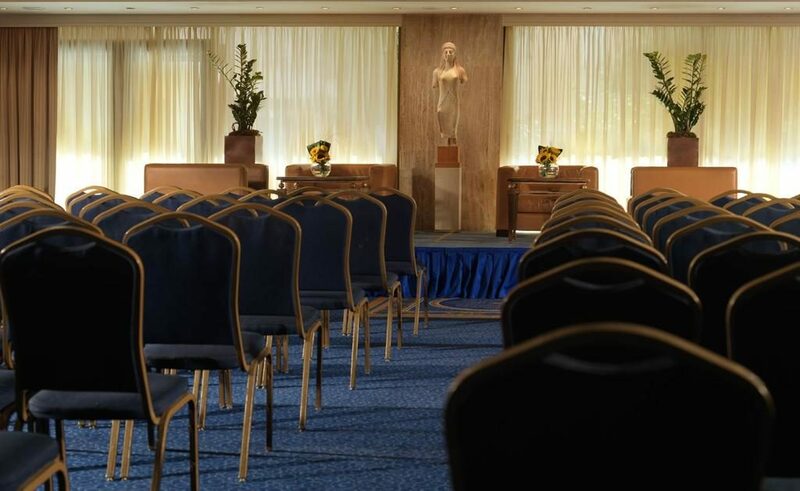 Our expert staff will make your special day a resounding success.